Duo from Strasbourg, Pierre and Rodolphe begin their musical project "The Art Strip" in 2011. 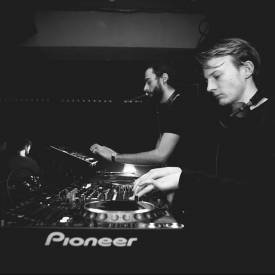 Concentrated on production, it is only two years later that the duo takes the decks to share their dark musical vision and percussive without fixative of real stylistic barriers. In 2014, they launched the Bazar event project, which they are now in charge of and which materialize the following year with the Tiefschwarz room, Derrick May, Sam Paganini, Tommy Four Seven, Sigha or DVS1.